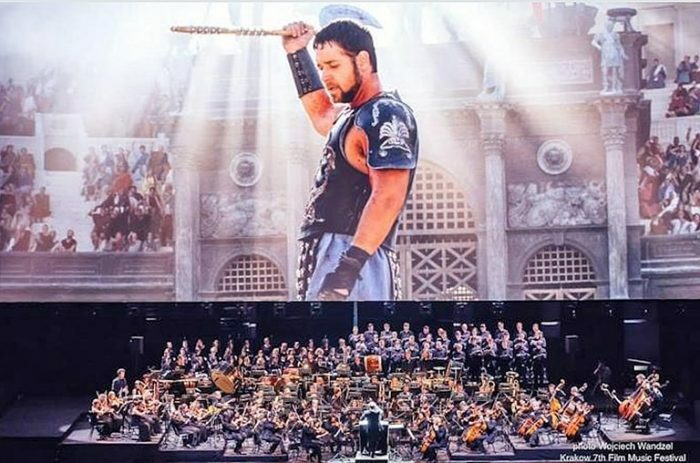 ‘Gladiator in Concert’ – to be staged on June 8th and 9th at Circus Maximus in Rome – has all the features to become the most exciting spectacular event of the year. ‘The Gladiator’ – the most famous among the historical blockbuster on ancient Rome – will be screened in HD on a 23.5 m screen, while the Italian Cinema Orchestra (an extraordinary ensemble of over 200 musicians and choir) will perform – in sync with the film – the epic Golden Globe winning soundtrack. Lisa Gerrard, the original performer, will sing live the unforgettable melodies of the Gladiator. The choice of location – the Circus Maximus, one of the most representative places in the history of Rome – will contribute to make ‘Gladiator in Concert’ an even more immersive experience for the audience. “The international format is a combination of great films and their soundtrack, played live by a great orchestra; this is a co-production between the American CineConcerts and Forum Music Village in Rome, that has the merit of making this event possible in Italy. Planet Service has been involved from the beginning stages collaborating with all the partners of this event, designing and creating the lighting and audio systems; the path has been long and difficult because it is a format that has very specific rules and technical requirements. Six different projects were evaluated for ‘Gladiator in Concert’ before choosing the final one. We have designed a single large structure that supports everything, 20 meters high and 14 meters deep, with a front span of 24 meters. A layher cover is set above the structure, and under the cover we installed 54 DTS moving heads (EVO and NICK NRG 1201), placed above the orchestra. Another 36 FLASH 2000 blinders are located on the front of the structure. The 23.5-meter wide, 10-meter high mega-screen is set on the front truss.